Departing from San Francisco, we’ll venture into America’s last frontier. “Up north there’s a land without fences. Animals outnumber people, sunlight shines at midnight, and nature reigns. Life is different. This northern frontier still boasts pristine landscapes, majestic wildlife, and a coastline that is one of the most enthralling waterways in the world” (Princess Cruises). I’ve been craving a wild travel experience for some time now. Not booming nightclubs and a mysterious tattoo that appears in the morning, but wild as in true wilderness. I’ve been craving open spaces, land untouched by humankind, and silence. Los Angeles, by way of comparison, has a population of 3.9 million people. Alaska, a frontier spanning 1,400 miles by 2,400 miles, has a total population just under 732,000. In other words, perfect. On May 23, 2014, the Star Princess departs from San Francisco and sails north toward this pure wilderness. The ship was originally built in 2002 and then refurbished in 2011. When she’s at full capacity, the Star Princess carries 2,600 passengers and 1,100 crew members within her 17 decks. 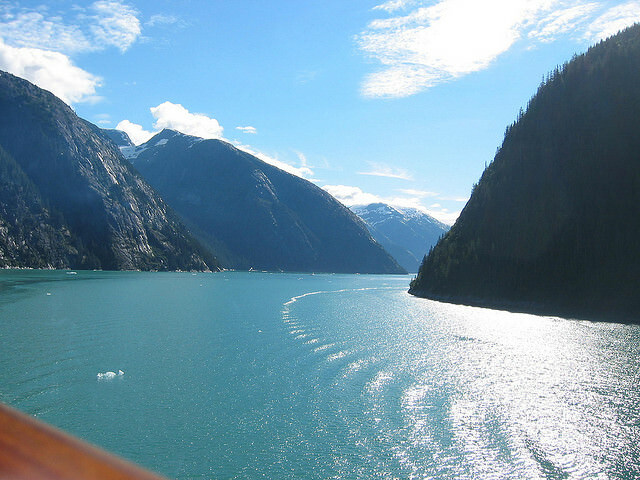 Eighty percent of all outside cabins have private balconies, including my stateroom, which will allow for breathtaking vistas as we sail through scenery like the Tracy Arm Fjord. 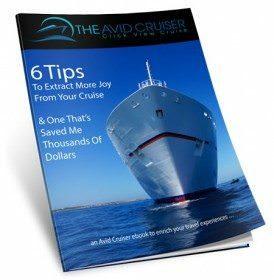 In case you missed it, The Avid Cruiser recently published their 2014 Alaska Guide, a comprehensive article designed to help you book your ideal vacation to the 49th state. Since I’m traveling to Alaska in May, on one of the earliest itineraries offered by Princess Cruises, it’s worth noting that some people do avoid the shoulder season. However, this Avid Cruiser article may convince you of the benefits of exploring early and/or late in Alaska’s sailing season. 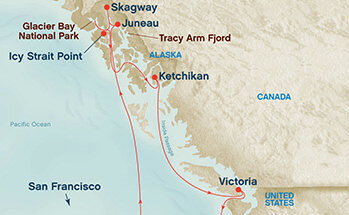 Princess Cruises also hosts a website called “Why Alaska,” orienting travelers to the many possibilities of this potentially-overwhelming destination. This is my first time to Alaska, but I suspect many Live Voyage Report readers have experienced her beauty before. I look forward to your comments and interacting with you throughout the trip. Please feel free to contribute travel tips or your favorite memories. I booked a shore excursion in each port, as did my friend Heather. 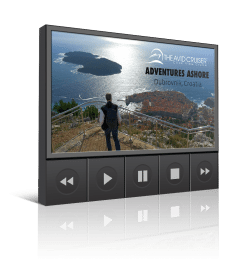 We’re taking two of our excursions together, but we booked different adventures in the other two ports; meaning you’ll get the benefit of a review for six different excursion offerings. Also – as a bonus to all the Alaska coverage – I’ve enjoyed a longtime love affair with San Francisco. We’re flying in a day early in order to share with you some of my favorite pieces of the City by the Bay. Follow along using the itinerary below. The goal is to post every night and recap the day’s adventures. Check back often and enjoy your virtual vacation! Gail, your introduction to this exciting trip has me drooling for more details and exciting reports from your adventures. Having wanted to take this cruise for many years, possibly your narration will push me into the travel rather than the reading mode. Thank you, Mike. I’m happy to have you following along, it’s nice to meet you. Let’s get you one step closer to booking your adventure. Alaska will no doubt seduce both of us. How exciting, Adam! Welcome. Have you been to Alaska before? What cruise line will be on? Looks like we’re visiting many of the same cities. I’ve cruised with Princess before, but not Celebrity. Your excursion choices are very different from mine. I cant wait to hear your feedback. It’s like you’re sending an advanced team to photograph and run recon on many of your ports. I’m happy to do it! Having read Day 1 – 13 I really enjoyed your live report Gail. The Star Princess has a special place in my heart. On the first night of a 10 day Southern Caribbean itinerary I hit the jackpot on a slot machine in the casino winning $25,000 dollars. This made what was already going to be an exciting trip, literally the trip of a lifetime. To be perfectly honest though, it wasn’t winning the jackpot that I remember the most when I think of the Star Princess. It’s how friendly the staff were, and how they strived in every way possible to make our trip excellent from a service perspective. Jackpot! What a great story. I had outstanding interactions with the staff, as well. Great ship, very professional. I’m glad you have such fond memories.